Get the maximum benefit from your services and achieve quality results for your clients with the proper equipment. 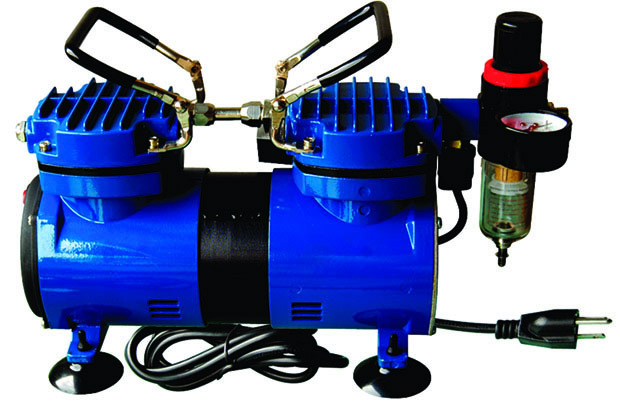 The Paasche DA400R Compressor will be great as for hobbyists and professionals and provide wide opportunities for illustration, model making, tanning, auto graphics and fabric painting. 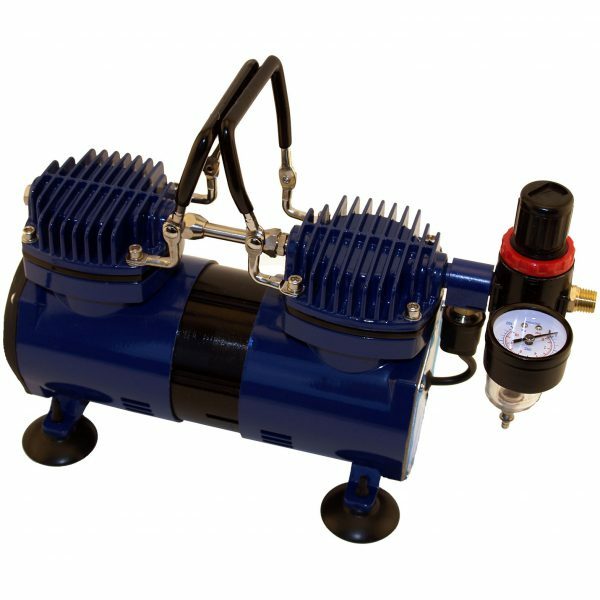 Draw attention and win new customers by adding this airbrush compressor to your business. The Paasche DA400R Compressor will meet your airbrush needs and what is more it will cut energy consumption and costs. With the operating pressure of 40 to 80 PSI depending on the type of airbrush the Paasche DA400R delivers smooth and steady air flow providing quality painting results. To decrease energy inputs an automatic shutoff comes into action when the airbrush is not in use. With the running time limited the auto shutoff along with the moisture trap also hinders condensation and moisture building up and heating of the compressor, what in turn improves the durability of the airbrush compressor. 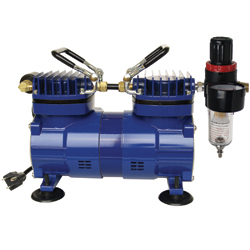 A regulator allows the compressor to keep running at constant pressure level on demand. To prevent overheating the Paasche DA400R features a thermal overload protector, which stops and starts the compressor automatically. This quiet and portable airbrush compressor can be used at home studio and while travelling due to its light weight and relatively small size. For more comfort during transportation it has also carrying handles. The Paasche DA400R Compressor will be a perfect solution for your airbrush. It offers high quality and durable design, that in addition will be easy on the pocket. This compressor will surprise you pleasantly with simple handling and exciting work quality, including consistent pressure, steady airflow and uniform paint application without sputtering.